Would you know Arlington had a Great Wall of Beer or an authentic colonial home unless we told you? You’re the type who wants something off the beaten path. We gotcha, there’s nothing more exciting than locating the overlooked, best-kept secrets that no one else seems to know about. Like its name implies, Arlington Ridge overlooks Washington, D.C. and atop its steep heights are majestic homes. Former Vice President Al Gore maintained a Tudor-style home there. The neighborhood had cinematic fame in the movie “No Way Out” depicting a fictional KGB safe house that stood on the southeast corner of South Arlington Ridge Road and 20th Street South in Arlington. Stop into the Arlington Historical Museum in the Arlington Ridge neighborhood on weekends, and see Civil War artifacts while hearing about the area’s complete history. The bedrock of Arlington's African-American legacy is in its several strong, historically black communities, such as Nauck. Settled by free blacks such as Levy and Sarah Ann Jones, they built their homes in this South Arlington community in 1844, nearly 20 years before the Civil War. They, in turn, began selling lots to other free black families such as Solomon Thompson, William Rowe and the Peyton family, thus sowing the seeds of a community primed to blossom even more fully in the wake of the Civil War. 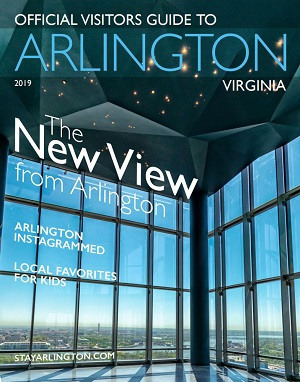 Westover’s tree-lined roads, boutiques and restaurants, and plenty of green space is part of why Arlington is known as an urban area with a small-town feel. The Westover Shopping Center offers an afternoon of fun, browsing the aisles at Ayer’s Variety & Hardware, shopping at the nearby fair-trade store Trade Roots or chilling with a pint at the Westover Market & Beer Garden. Here you will find Arlington’s Great Wall of Beer, a who’s who of craft brews. On Sundays, pastries, organic fruits, herbs and locally-grown vegetables are on sale at the Westover Farmers Market. Fairlington’s community of homes was built by the federal government’s Defense Homes Corporation as priority housing for military officers and key government employees. Today you can visit Fairlington’s Farmer’s Market on Sundays, April through November, for fresh produce, coffee and flowers. Look out especially for a chocolate croissant that will make you say ooh la la. Fairlington is on the national register of historic places. Historical markers show the area was the site of Civil War Union fortifications: Fort Reynolds was built next to the present North Fairlington. Battery Garesche, created to control the higher ground dominating the fort, was at today’s South Abingdon Street at 30th Road. Although located in Virginia, which was a Confederate state in the Civil War, the area was never controlled by Confederate forces. During the 18th century, John Carlyle owned most of what is now Fairlington. Around 1770, Carlyle established a plantation and constructed a large white house known as Morven in North Fairlington, which stood until 1942 and is long gone. George Washington also owned a small parcel in North Fairlington, now at South 28th Street. The Glencarlyn neighborhood features the Ball-Sellers House. It is the oldest building in Arlington County, restored to what it looked like during the colonial era. Step back in time in a home built in the 1740s. Visit for free and see how middle class farmer John Ball, his wife Elizabeth, and their five daughters would have lived in Virginia’s Colonial era.